So, you’re running a successful enterprise and you have cash in the bank to invest. A common big-ticket purchase for entrepreneurs who are feeling flush is a second home. It may be in some exotic, far flung location or an investment property in Central London. But whether you occupy the home for two weeks a year, two months a year, or you’re a private landlord, you’ll need to cover it with a second home insurance policy. Depending on how you use your second home, you’ll need to cover it for extended periods of no occupancy, or for short breaks in occupancy. 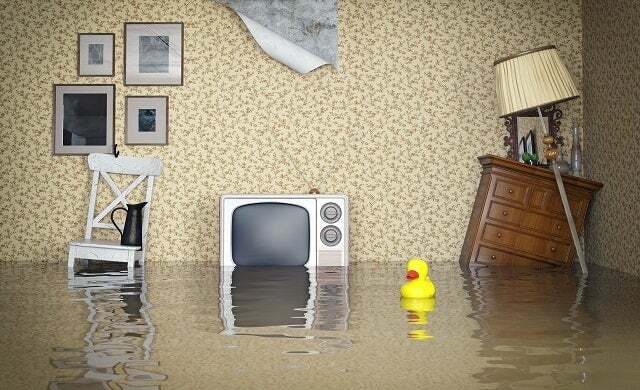 Why do I need a second home insurance policy? Your first home insurance policy will not cover your second home though it may be possible to add your second home insurance policy onto your first. What types of second home insurance are there? The most common type of insurance for second homes, buildings insurance will enable you to make a claim for the cost of repairing and rebuilding your property in the event of damage from flood, fire or other disaster. Your policy should cover the exact cost of a rebuild, which you can be calculated by policymakers and verified by a chartered surveyor. If this is not possible you could take out an unlimited policy. You are not legally required to have contents insurance, but in the event your second home is broken into and damaged or stolen from, you’ll wish you had. If a house has been unoccupied for a while, it could be a target for burglars. Most providers will offer a policy covering £15,000 worth of contents. Always ensure your home has adequate security measures in place such as locks, alarms, security lighting – which activates when someone comes near the property – and try not to have valuable items in plain view that are easy to steal. If you rent out your property to the public, you’ll need landlord insurance, ensuring your property and its contents are covered against damage or loss of rent. Your insurance provider will require proof of the value of your property to determine how much cover you’ll need, as well as how much rent you charge, so you can claim in the event that tenants don’t pay. If the property is an investment that you hope to one day sell for profit, it’s especially important to have enough insurance in place to maintain its state and repair damage. How big should my second home insurance cover be? If you under-insure your contents, you won’t receive the full compensation if you need to make a claim, so you need to be really careful not to do this, especially if your work equipment is high in value. However, the other end of the spectrum is risking over-insuring and wasting money by paying a higher premium than needed. To avoid this, it makes sense to work out what you need covering carefully. Always keep any receipts as proof of purchase and, should you need to make a claim, be honest with your insurance company as to how much items cost. What questions should I ask when contacting my second home insurance provider? In order to get the best deal from your second home insurance provider you need to be prepared to ask the right questions. You should also start by comparing quotes from different companies online search to get an idea of what kinds of deals are on offer. What exactly will the insurance policy cover? Is there a no claims bonus? How much will premiums cost? Is there any excess? If so how much? (the amount of the claim you’ll have to pay)? Does the insurer provide a 24-hour legal and emergency advice helpline? What is the level of excess to be retained by your business?